Ibraham Sakalaki and Kat Mehajer celebrated their love with a million dollar wedding that spanned two weekends across Sydney. Salim Mehajer's own wedding took over the world by storm a few years ago. If you don't remember the luxurious wedding, click here! The Mahajer family from west Sydney are emerging as Australia's Kardashians! 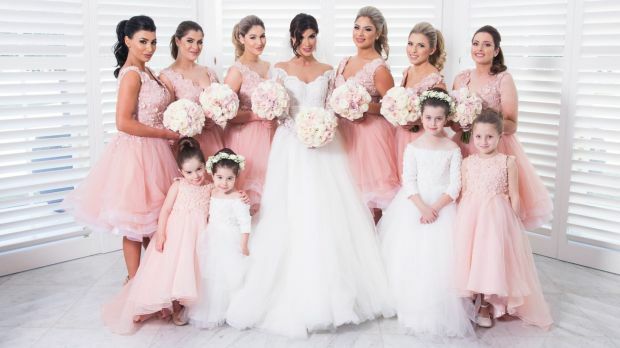 Khadijeh "Kat" Mehajer has followed in her brother's footsteps and had an over the top wedding. But it was her bridegroom, Ibraham Sakalaki, who took creative control of the proceedings that were held over two weekends, culminating in a reception staged at two venues last week. "Ibraham was a huge influence in the way the wedding came together, he was a groomzilla at some stages. We had sleepless nights and stressful days but it was all worth it in the end," Kat Mehajer said. The official Islamic wedding ceremony, the Katb El Kitab – the entree to last week's affair which was rumoured to cost more than $1 million – was officiated by "the sheikh" and witnessed by a handful of immediate family and close friends. Kat Mehajer wore a black sequinned Alex Perry gown where she and Sakalaki – in Gucci – reportedly signed a nikah – a non-binding, Islamic social contract that usually involves the husband gifting his wife money as a token of his commitment. For the reception held on the five-acre Longuevue estate in Kenthurst before the cavalry of Lamborghinis, Bentleys and Rolls Royces headed to Dolton House Hyde Park, Kat Mehajer donned a one-of-a-kind French beaded gown that boasted an Italian tulle and silk overskirt designed by Taylor Swift and Jennifer Lopez's favourite Australian designer, Steven Khalil. According to Khalil, who spoke to Fairfax Media earlier this year, a bridal creation like Mehajer's usually costs more than $20,000 and takes 10 months to make.